I think I heard of Alleppey (Allapuzha) for the first time in the mid-90s while watching Surabhi. Those were the glory days of DD. I didn’t have access to Discovery or Nat Geo during those times as cable TV was considered to be a threat to the academic well-being (read slavery) of school kids. 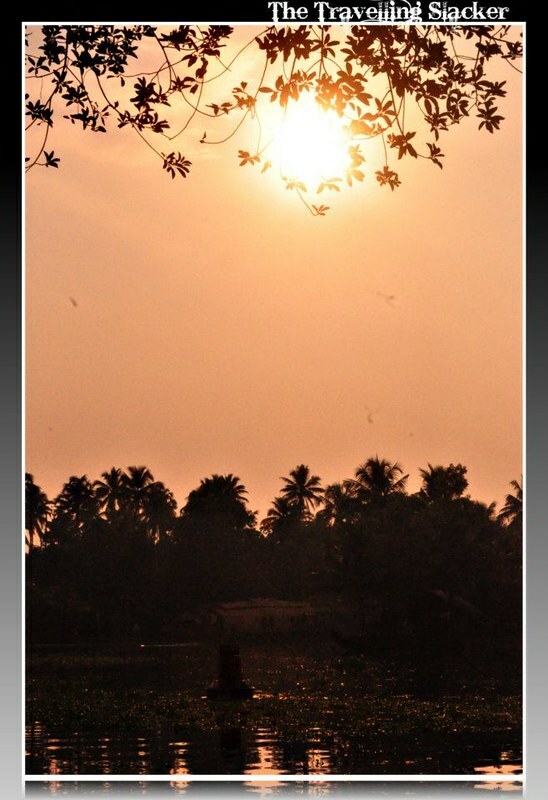 I heard of Kumarakom a few years later when PM Vajpayee reportedly went there for a much needed break and produced a couple articles jointly known as Musings from Kumarakom. But still I never really had a good opportunity to visit the region and so finally when I got a long extended weekend, I decided to use it for this purpose. I boarded an ironically named train called “Garib Rath” (Chariot of the poor) which only had expensive AC coaches and no sleeper class. But I soon realized why it is called so. The AC coaches are marginally cheaper than those in other trains and to compensate for that they do not provide complementary blankets. One has to pay extra and get them from the staff and that too only till the stock lasts. So while I realized it before it’s too late, some people missed the mark and thus spent the night shivering and understanding the true meaning of poverty. The train ride was otherwise eventless and reached Kottayam with a slight delay. 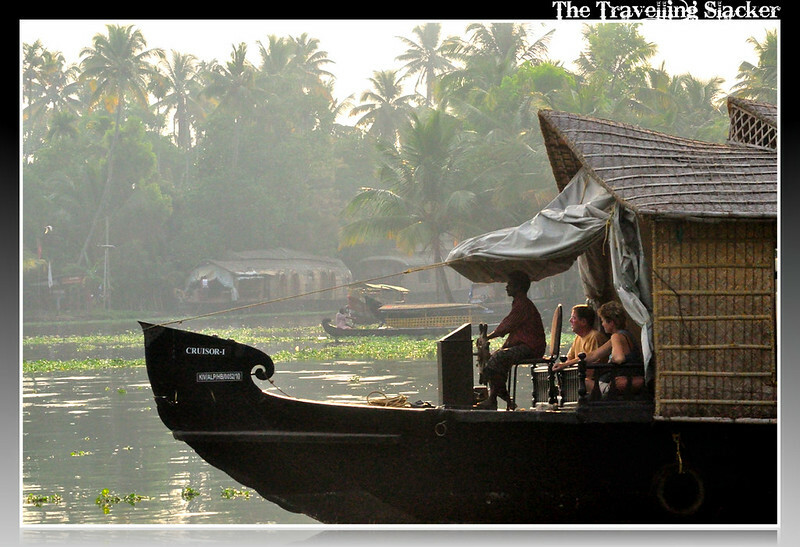 I hired an overpriced autorickshaw and moved to Alleppey. It took longer than I expected to cover those 50kms. Narrow roads, traffic and finally confusion over the location of my resort meant that it was afternoon by the time I settled down. My resort had nice traditional cottages, decent food options and more importantly was located right on the banks of the backwaters. So, I could directly see the houseboats sail from my room itself. It is a bit far off from the town centre and difficult to find other shops, eateries or quick transportation unless you are lucky. Nevertheless, it was a peaceful place and I enjoyed the ambiance yet to be molested by industrialization. However, I realized that my planning was a bit off the mark. I lost a significant amount of time earlier in the morning and towards the evening I wasn’t feeling very well. So I didn’t roam around much and just explored the nearby areas. Very few photographs were worth reproducing from that evening and the next morning and I am putting up some of them below. The next morning I rushed to the bus stand after a good breakfast with local pancakes and cardamom tea. But there was no direct bus to Kumarakom at that time and hence I travelled back to Kottayam by boarding a rickety bus and then moved to Kumarakom by hiring an autorickshaw which is only 12km away from Kottayam. 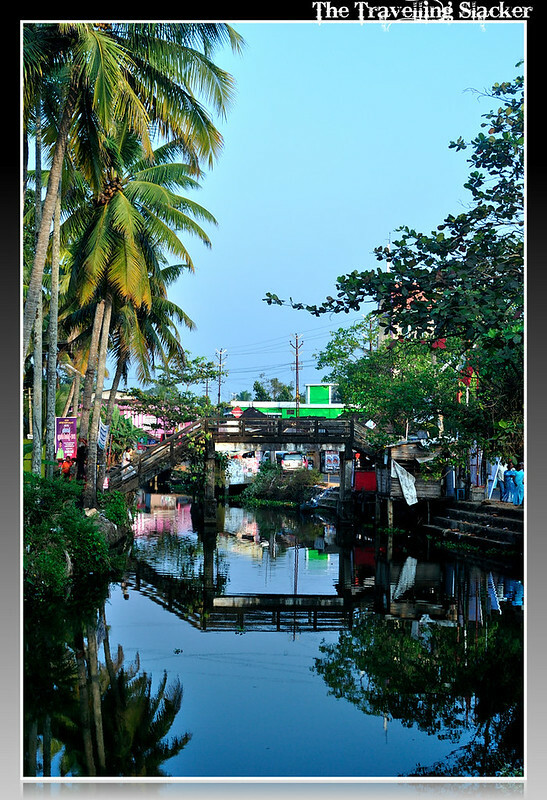 At Kumarakom my hotel was located just near the government jetty. The place looked nice but the narrow highway was full of traffic. I roamed around in the nearby area in search of some good shots but did not really find anything exciting. Only after almost an hour I realized that ditching the highway and descending down towards the government jetty will offer me better sights. 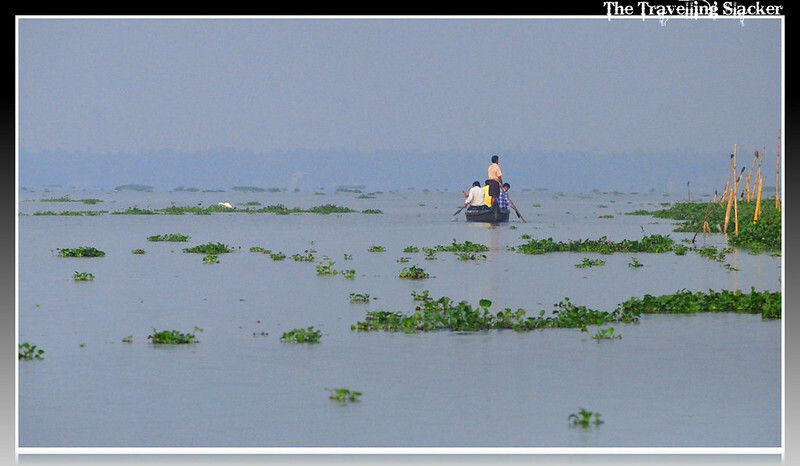 As I did so, I realized that the area stretches into the Vembanad Lake. There was a tomb just by the side of the promenade and it offered nice perspective against the colourful sky of the dying dusk. I spend the night reading a book and trying out the food offered by my hosts. While the names on the menu were quite “northy”, they were cooked in coconut oil thus creating a gastronomic as well as olfactory confusion which I did not actually mind for a change. 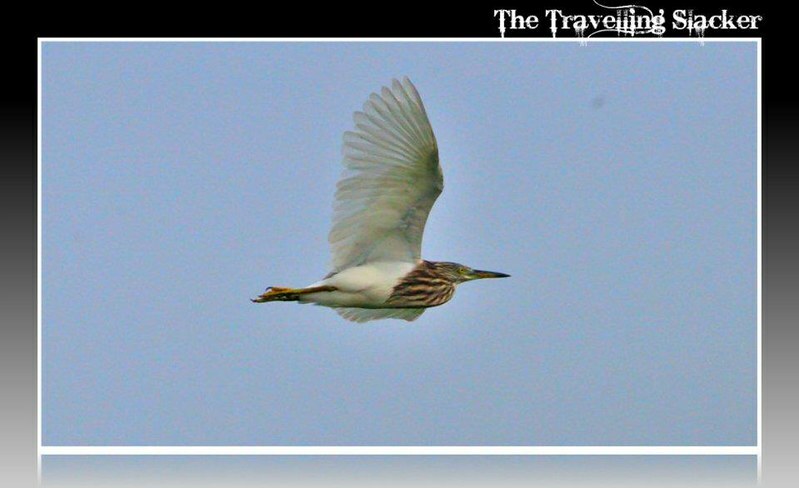 The helpful caretaker had also arranged for me an autorickshaw at 7 am in the morning to take me to the Kumarakom Bird Sanctuary as I was informed that early morning was the best time to see the birds. The sanctuary, to my relief, was not even 10 mins away from my hotel. In fact it is not exactly a dense forest but an area of decent vegetation by the side of the lake. I purchased a ticket at the gate, moved inside and was greeted with scores of blue butterflies in the well maintained garden. 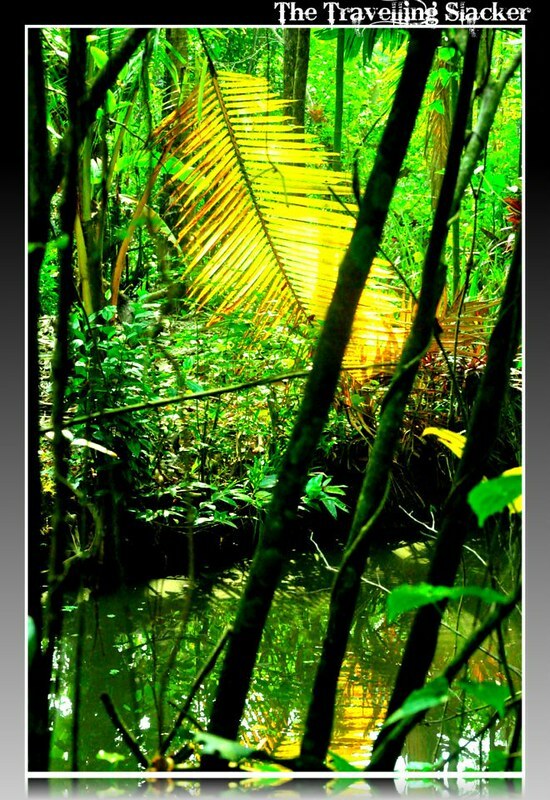 After a few snaps, I started to walk through the narrow road flanked by trees and marshes. My camera was eager to shoot but I only heard the chirps and couldn’t see a single bird. Right at that moment a shadowy figure leapt out of the jungle and offered me his services. He was a boatman called Aravindan who makes his living by helping tourists move around the sanctuary. 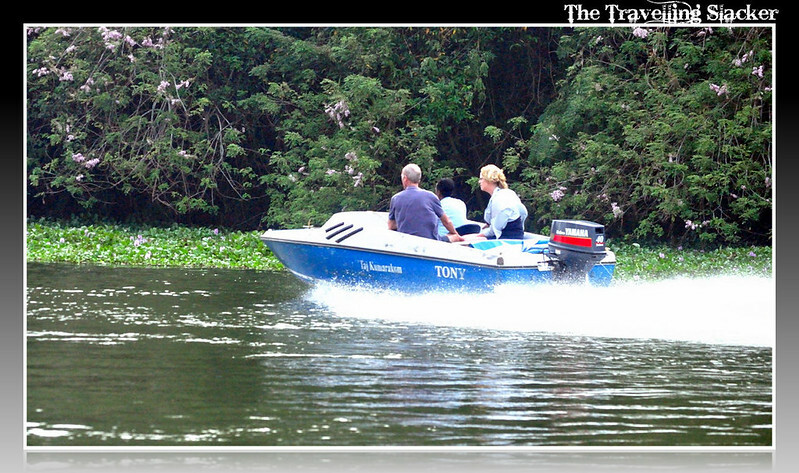 I noticed that his tiny boat was also hidden by the side of a narrow canal that eventually flows into the lake which itself is full of lush vegetation. As the boat took me to a relatively open space, I began noticing the birds. 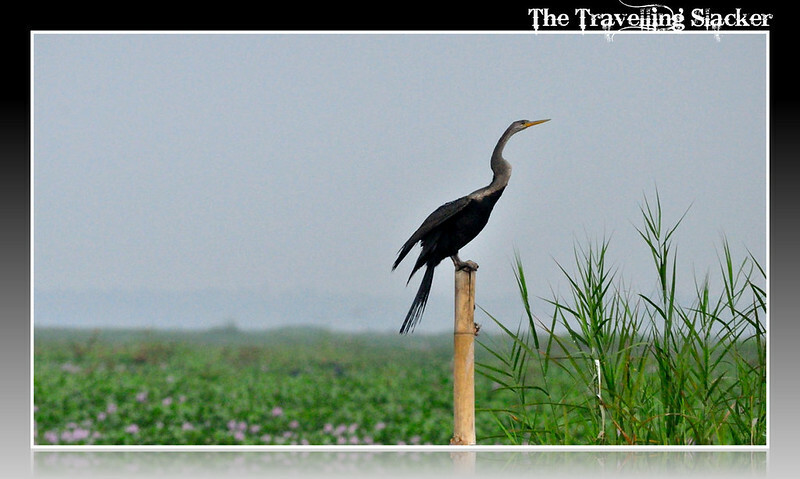 The entire area was full of Egrets, Storks, Kingfishers, Cormorants and a variety of other water birds, mostly looking to catch fishes for their breakfast. 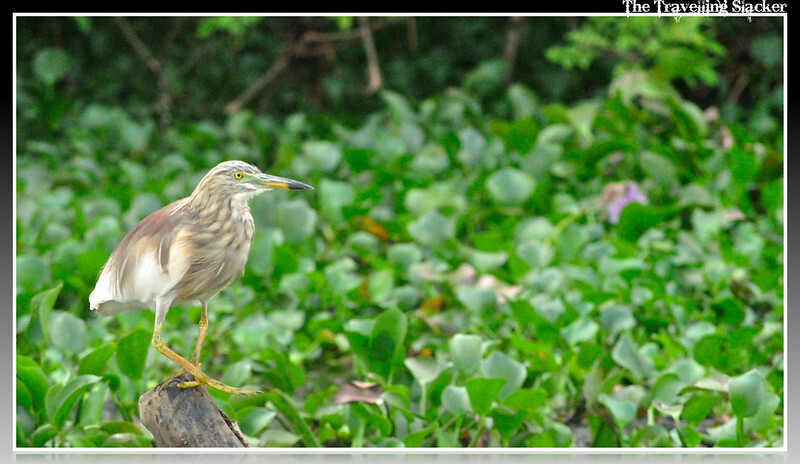 I clicked as many as possible, but the smaller ones like the Kingfishers eluded me due to my limited 200 mm zoom. I spent around 1.5 hours on the boat and finally Aravindan dropped me back at the same point where we started. He charged Rs.250 for his hard work which I didn’t mind shelling out as he had provided me the best possible positions to shoot the birds. 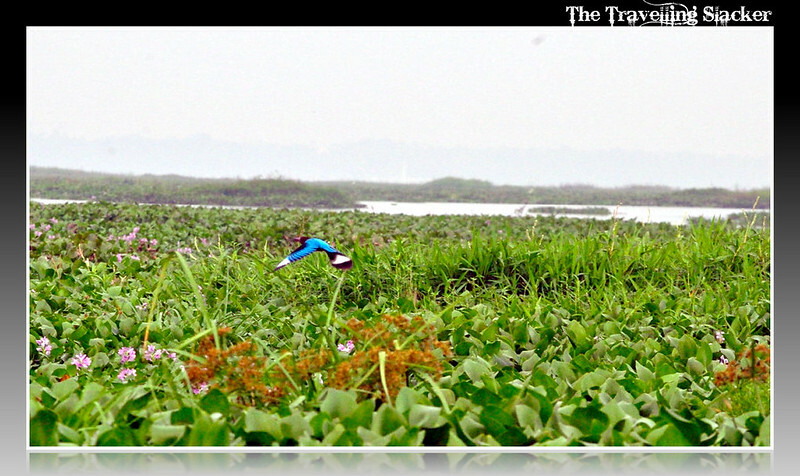 It is also worth mentioning that this location is one of the major wetlands in India as declared by the Ramsar Convention. After this fruitful morning trip it was the time to return. More importantly, my waiting list ticket was not yet confirmed. Eventually, it turned out that I was going to return without a confirmed berth in the general coach. To my horror, it was jam packed and eventually I completed the journey by spending a sleepless night and without even getting to sit down for a while. But then… who wants to know about that? Train lovers can get a ticket to Kottayam. There are trains to Alleppey too but Kottayam is a bigger railhead and has more options. 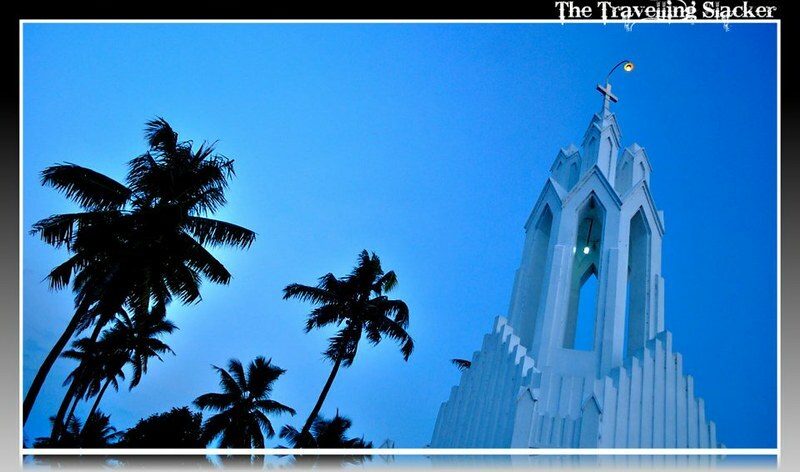 Alleppey is 50 kms from Kottayam while Kumarakom is only 12 kms away. You will get buses and autorickshaws easily for the last phase of your trip. Another alternative can be a flight to Kochi. From there you can move to any of these places. 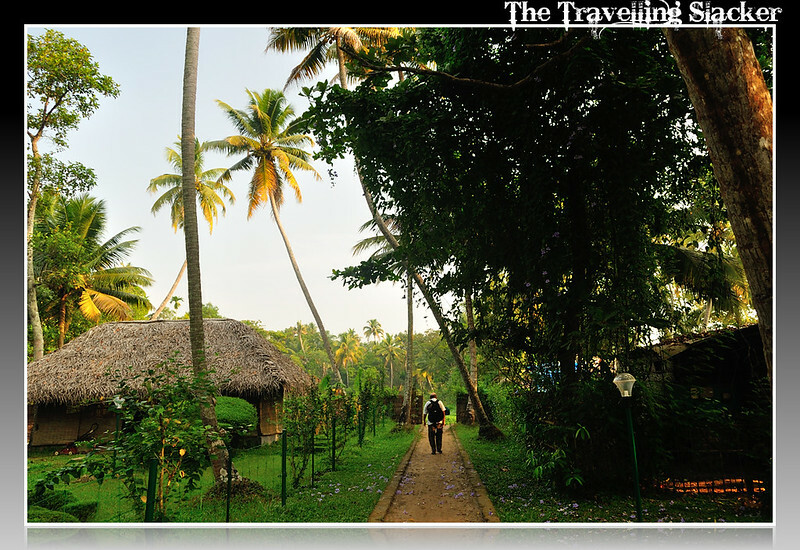 At Alleppey, I stayed at the Keraleeyam-Heritage Home & Ayurvedic Resort which is situated by the side of the canal and hence offers a good view. A bit far off from the city but has a good ambiance and decent food. 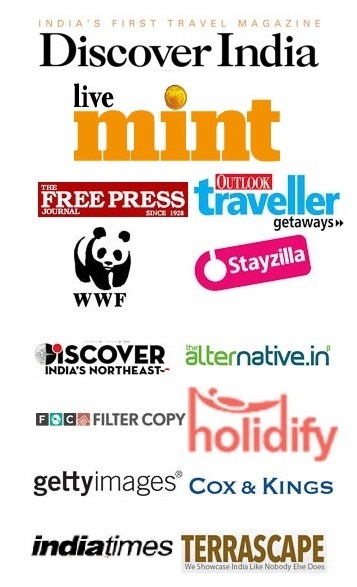 It costs around INR 1500 for one night. 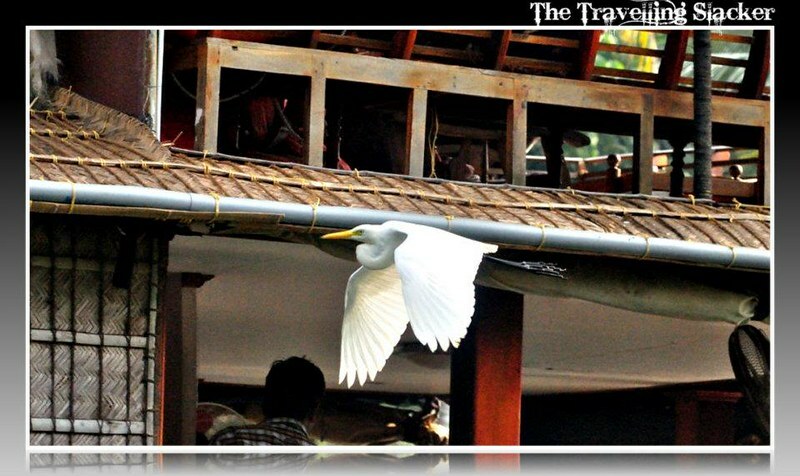 At Kumarakom I stayed at Tharavadu Heritage Home which is conveniently located near the government boat jetty and near to all major attractions. This neatly maintained hotel charged INR 1000 for one night. 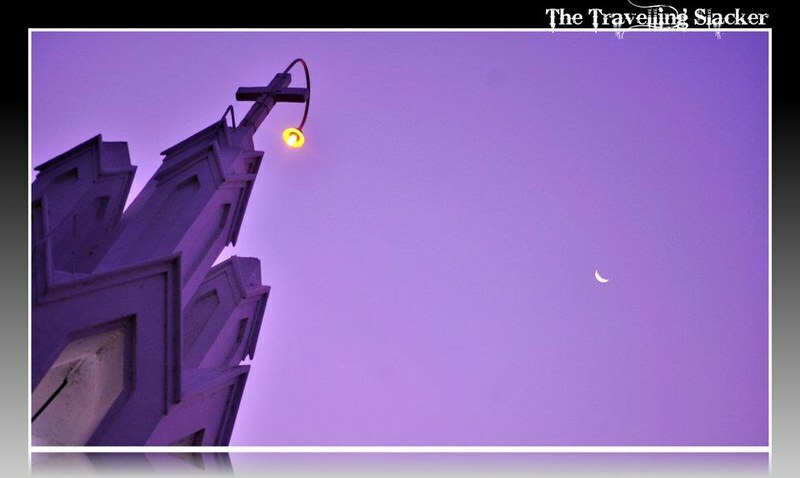 There are scores of other hotels and resorts in the area owing to a regular inflow of tourists and finding accommodation. One can also prefer to spend the night in the houseboats apart from taking a daytime ride. They are well furnished with all essential facilities but they are comparatively costlier than the hotels on the ground. 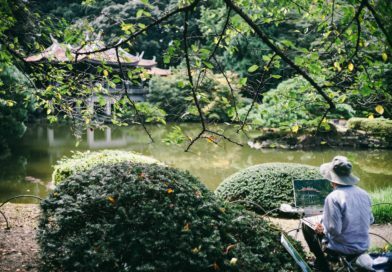 If you plan well, one day in each of the places should be enough. These places can be visited throughout the year but winter is a better time when the temperature is moderate. Please note that it is never cold out there and I found the January sun to be pretty strong. 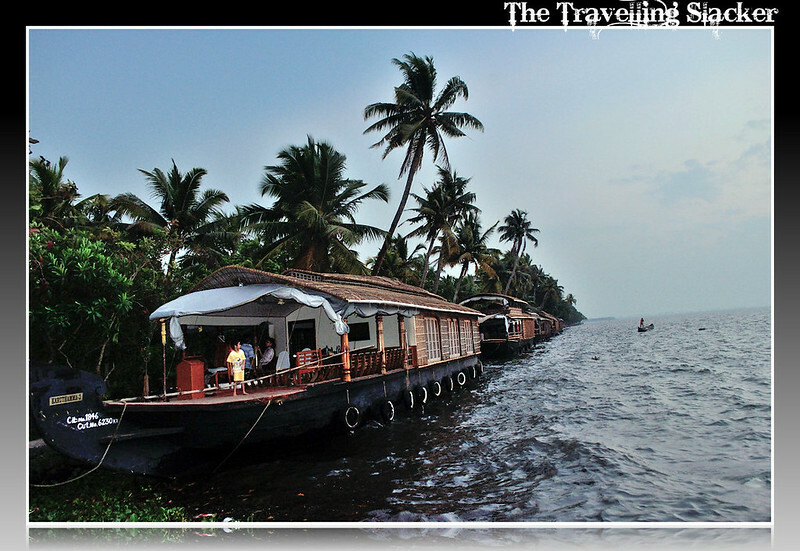 The main attraction in both the places is the backwaters and the houseboats. 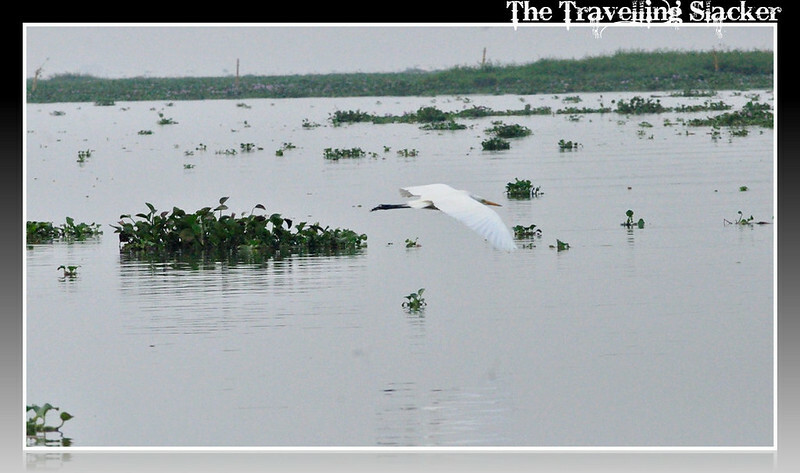 Apart from that, you can visit the Alleppey beach (which I missed out) and the Kumarakom Bird Sanctuary. While visiting the sanctuary, make sure that you reach there early morning. Otherwise, you may not find too many birds. 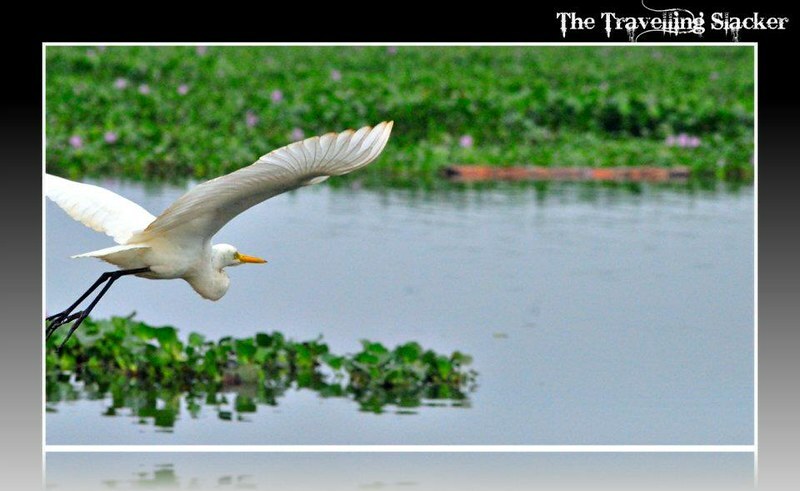 After visiting the backwaters you can also spend some time in the nearby historic city of Kochi or go towards the capital city of Kerala, Trivandrum and use it as a base. My wife and I had our first trip to Kerala in Jan 2011.I decided to see the bacteakwrs while travelling from Allepey to Kollam, rather than do the more normal round trip day on the lake.What we saw was much more varied and we saved a day travelling by road.Boat picked us up at our hotel = Kayaloram Resort about 10 metres from the from door of our room. We travelled from 11am to 9.30 am the next day. Boat crew was excellent, Food was excellent and the peaceful scenery was great. So relaxing, it seemed more like a few days! Amazing place! Your pics are just wonderful as is your narration. 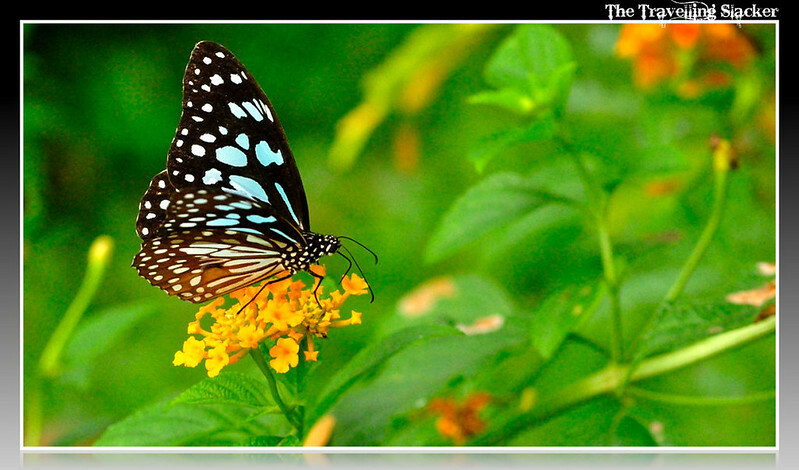 Loved those butterflies and the lotus shots the most!! Wish I could make it there some day. Jitaditya, your narrative is as engaging as it is information packed. And the visuals, they are just lovely. Cheers! 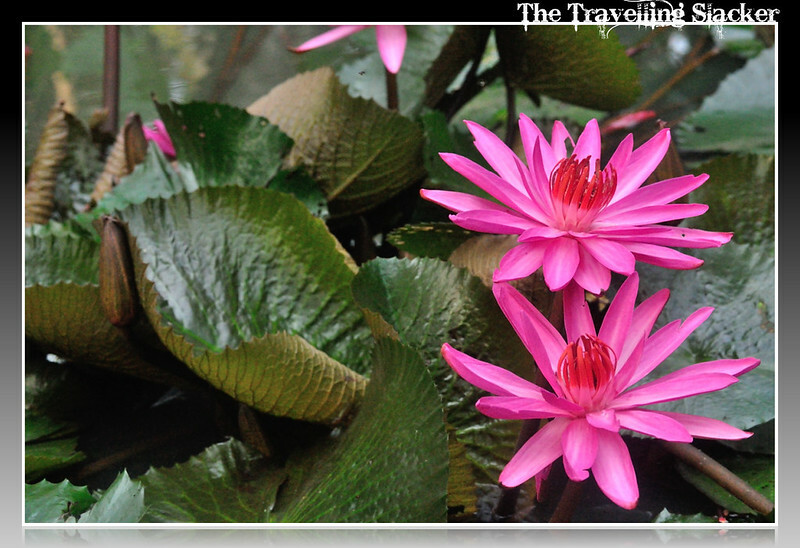 Hi.. thanks for sharing these Beautiful pictures, i liked the 2nd picture of two lotuses the most after that i also liked the pictures of swan too.Its a stylish blog.I wish we will get more from you . thank you travelling Slacker for this amazing post..
Those are some amazing pictures of Allepey. 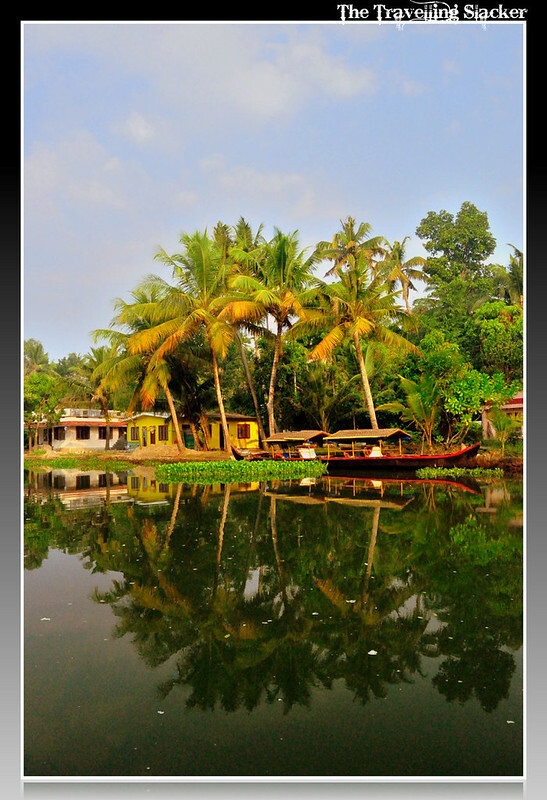 I had always been fascinated by Kerala, mostly because of these backwaters. 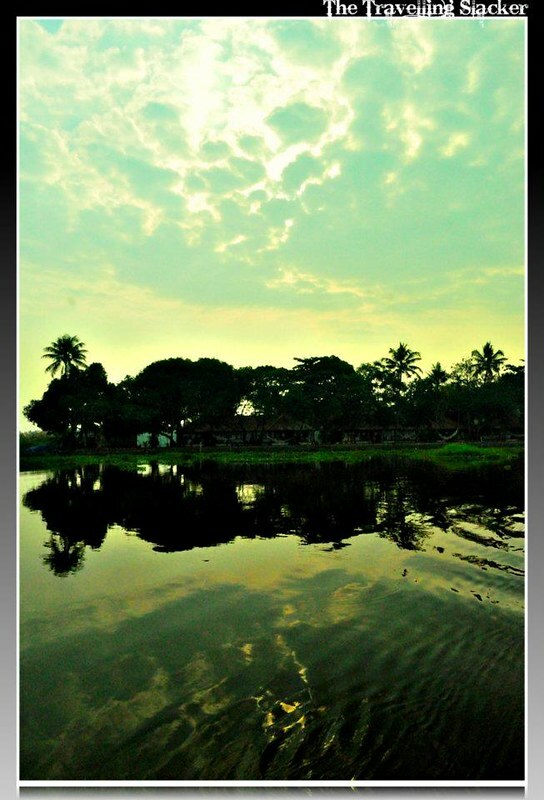 Last year even I took a trip to parts of Kerala and the ride on the Boat in these backwaters were one of the best moment. Great Post..!! 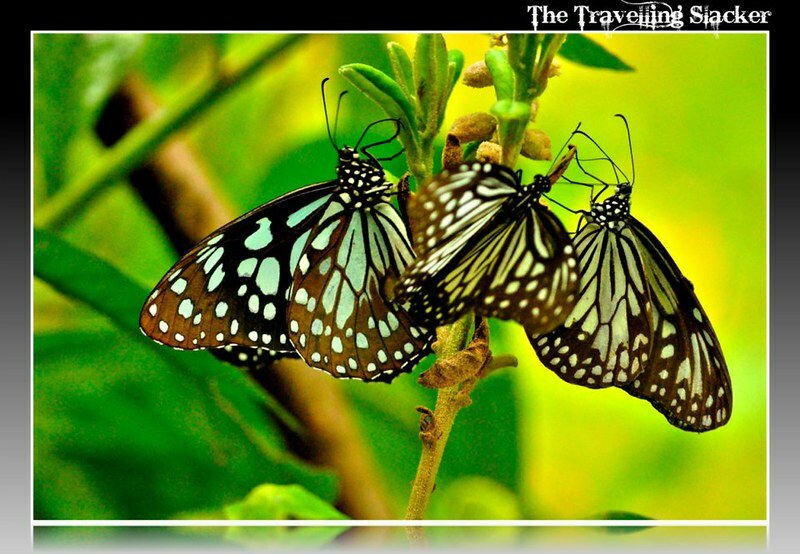 it’s very helpful article and amazing photography thanks for sharing wonderful post. These are some great photographs, first things first! What camera are you using? It seems this country is filled with spectacular views of nature, and I can see through your lens that you are a nature lover yourself. I think yours is the first post as back packer there, usually people make a planned travel to these places. Hey man amazing photos! Really beautiful stuff! I am always seeing this incredible content from people from all over the country and it looks so incredible! Such an inviting place!! We had been to Alleppey as a part of our Kerala trip. We drove all the way from Bangalore in our car. It was a delightful trip sailing on the Vembanad Lake. Your pictures refreshed those memories. 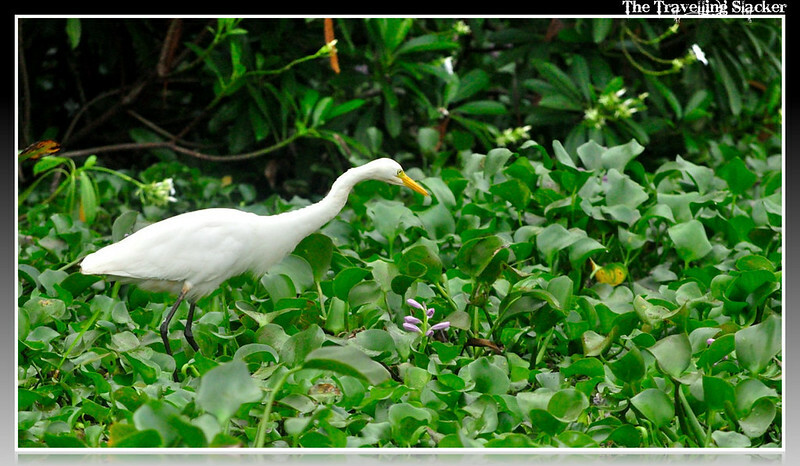 Kumarakom Bird Sanctuary is beautiful gonna make it next time we make a visit. It sounds like the travelling was quite the mission. 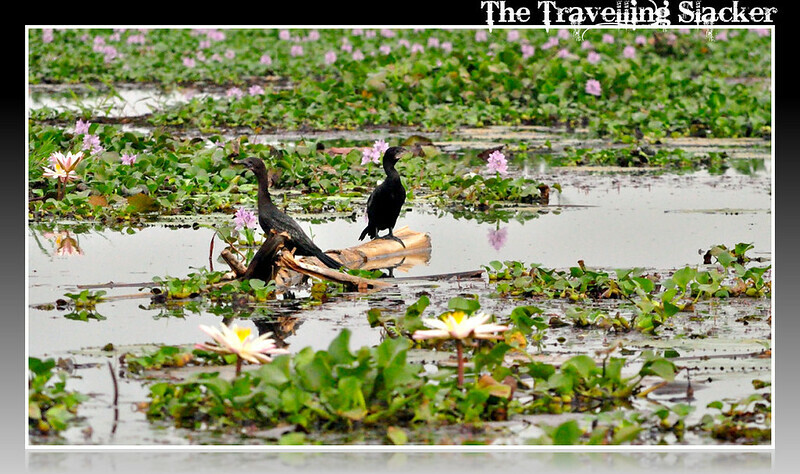 Taking pictures on the boat in the Kumarakom bird sanctuary must have been an incredible experience. The shots you got look great. 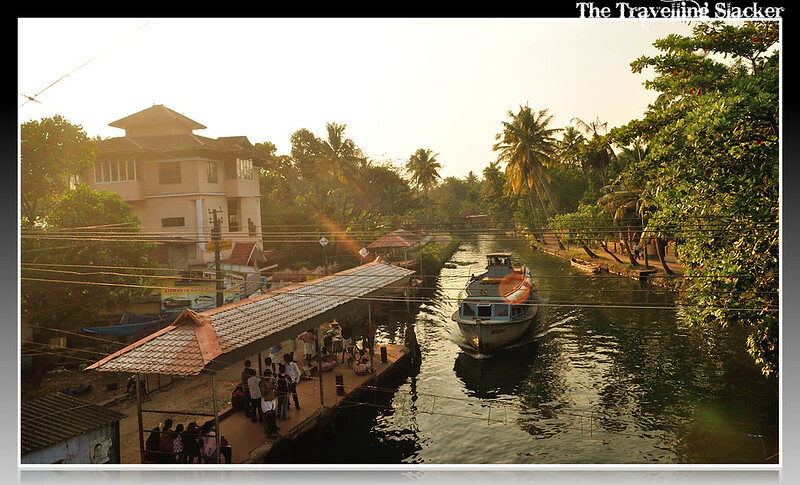 The pictures are stunning and Alleppey is a must experience place. Can I suggest something? Don’t add borders to the pics as they are putting them in a box and my vision gets distracted. Awesome photos! your story really made me feel like I was right beside you during your travels. Great detail in your writing. The train ride seemed interesting and I really enjoyed the name and thought it was funny too. Finding that tour guide while in the sanctuary seemed very beneficial to you. We have had similar experiences before as well in different parts of the world. 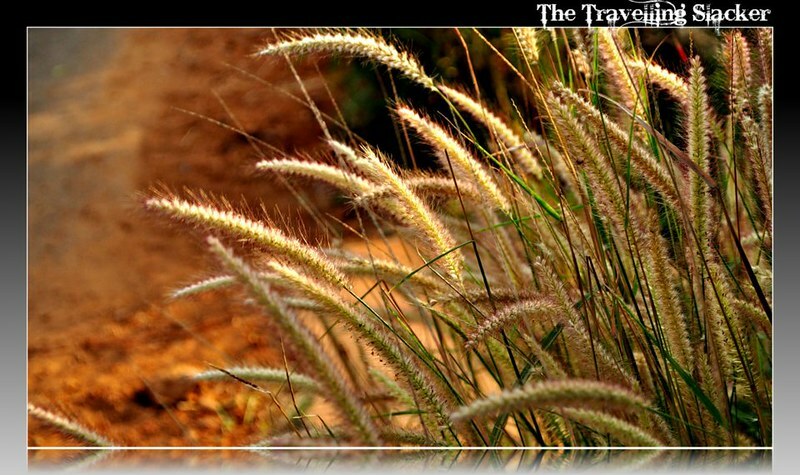 Kerala is one of the most visited states in India and one of the most beautiful lands on Planet Earth. I have been to Allepey bu that was more than 26 years ago and my memories are now hazy. 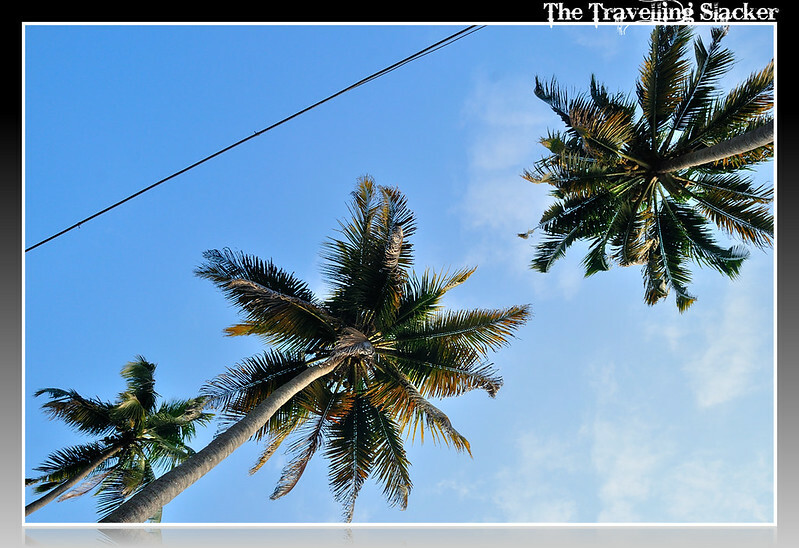 What I do recall is the great beach of Kovalam. Have you been there?